This is a step-by-step guide on setting up HTTPS for OpenFaaS Gateway with a Google Cloud L7 load balancer and a Let's Encrypt free TLS certificate. 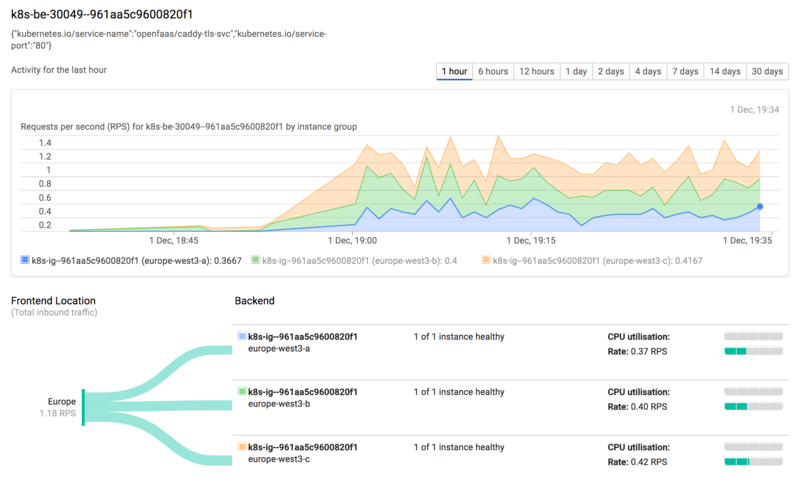 I’m assuming you already have a GKE project with gcloud and kubectl configured to target your cluster. This will create the pods, deployments, and services for the OpenFaaS gateway, faas-netesd (K8S controller), Prometheus, Alert Manager, Nats, and the Queue worker. Use this IP to create a DNS A record for your openfaas subdomain. We'll be using kube-lego to automate the Let's Encrypt certificate request and renewal. Replace contact@example.com with a valid email address. Let's Encrypt will contact you if there is a problem with your certificate. We'll be using Caddy as a reverse proxy, health check, and basic-auth provider for the OpenFaaS Gateway. Next, let's create the Caddy deployment with a readiness probe pointing to the /healthz endpoint. The readiness probe will be used by the Ingress controller health checks. 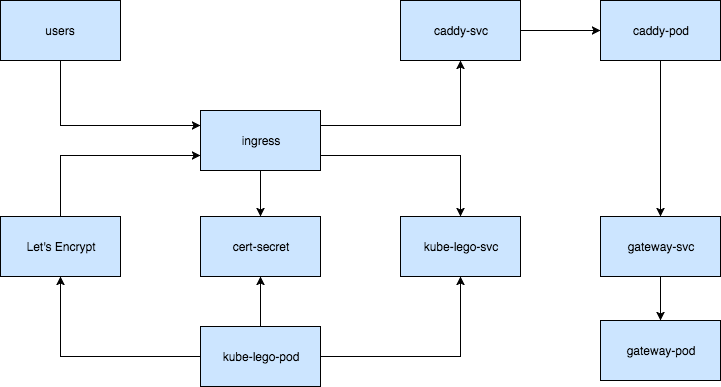 Once the Ingress is up, kube-lego will attach a new backend to the load balancer and will request a certificate. Kube-lego will create a secret named openfaas-tls that will contain the Let's Encrypt certificate, from there the GCP load balancer will load the certificate and you will be able to access the OpenFaaS at https://openfaas.example.com. If you have any suggestions on improving this guide please submit an issue or PR on GitHub at stefanprodan/openfaas-gke. Contributions are more than welcome!